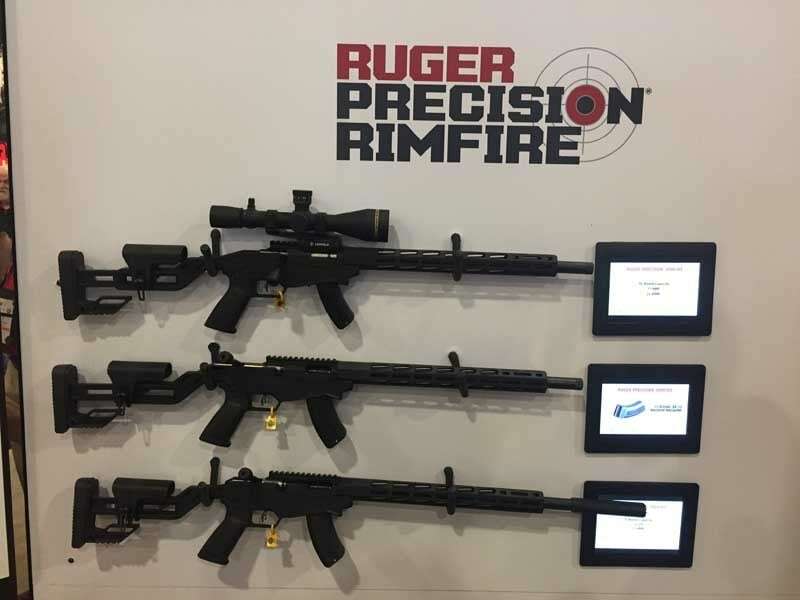 While something Creedmoor seems to have slowly crept into almost every firearm and ammunition manufacturer’s booth over the last few years, 2019 is the year of the rimfire. 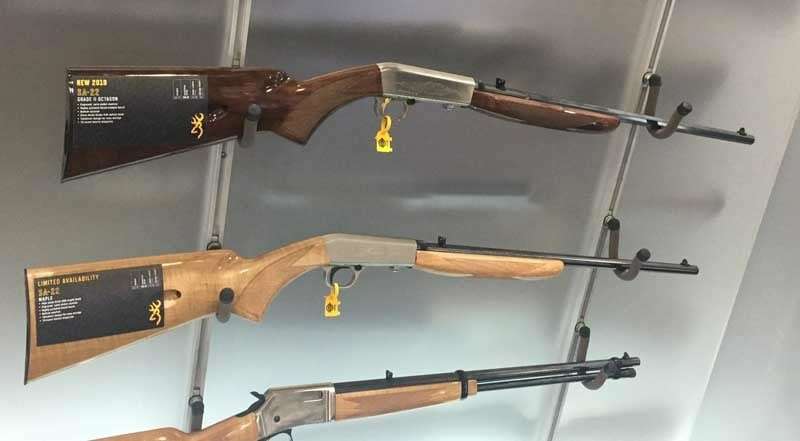 From standard favorites to the rebirth of the 5mm Magnum and re-stocking of the 17 Mach II, SHOT Show was a rimfire lover’s dream. Here are a few of our faves. Who doesn’t recognize a semi-automatic Buckmark pistol? 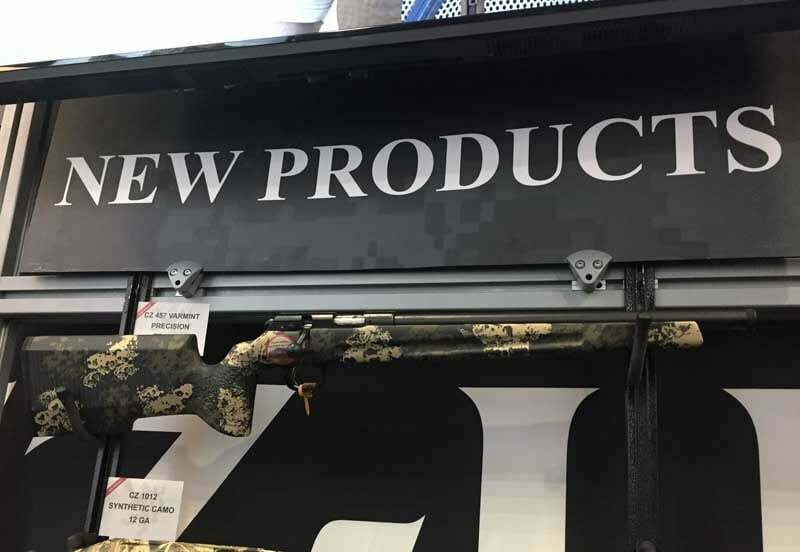 As it turns out, adding a rifle stock to the proven design looks like another winner for Browning. The stock is not just an add-on, but rather, machined as part of the pistol frame. Buckmark Rifles feature the same straight blowback action and crisp trigger pull, but with modern skeletal lines in a rifle version. Magazines are interchangeable with the pistols, and for 2019, fluted, threaded, target models are all the rage. 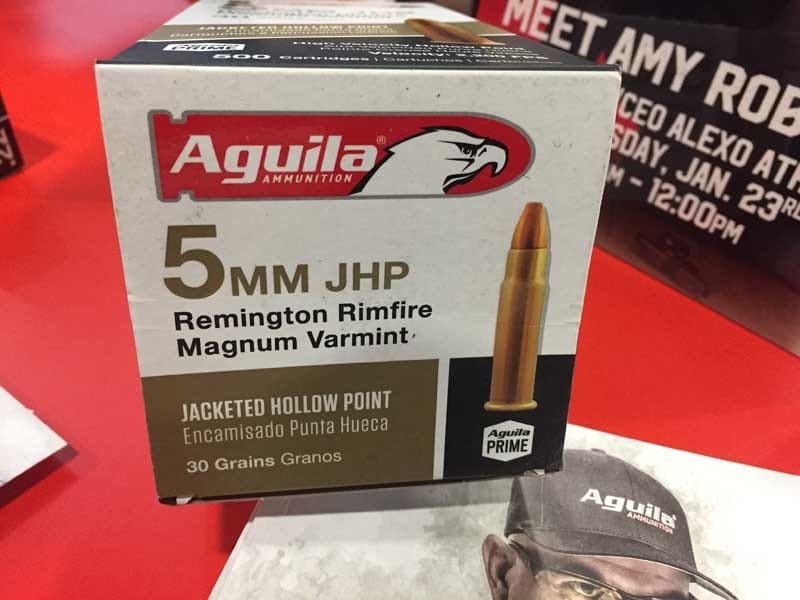 The cult followers of the 5mm Remington Rimfire Magnum have spoken and Aguila answered the call. Phone calls every day, that is, according to company reps, begging the company to re-make the once almost extinct round. Take a look at the 5mm Mag’s ballistics and you’ll soon realize it should have never faded away, but rest assured, it’s back. Aguila is producing not only one, but two versions. Both are tipped with 30-grain bullets, but one is a JHP Varmint and the other a semi-jacketed load, both with an advertised muzzle velocity of 2,300 FPS. My old Remington rifle will be resurrected from the vault. The success of Ruger’s Precision centerfire and .22LR rimfire rifles left little doubt that magnum rimfire iterations wouldn’t be too far behind. 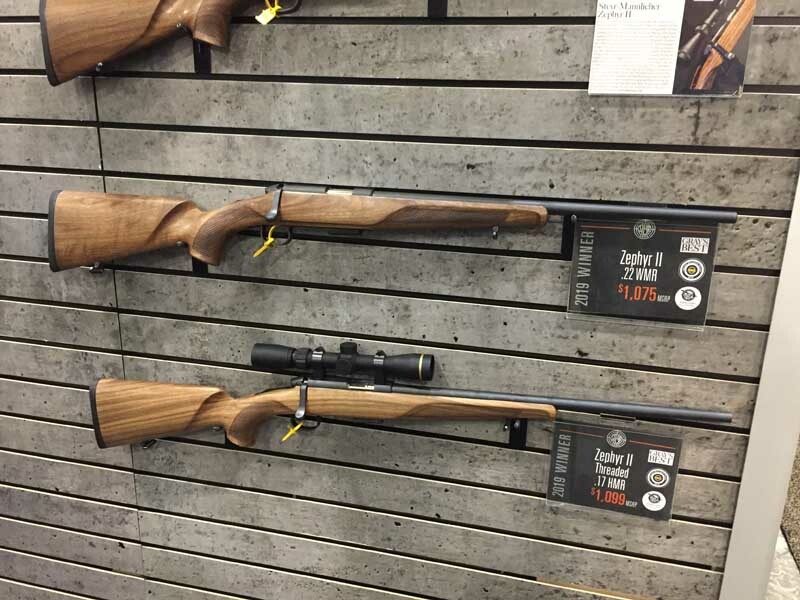 Well, 2019 is the year the .22 WMR and .17 HMR versions hit the market. They’ll have the same 18 inch barrel with 1/2×28 threads, free-float Magpul M-LOK forend, and a Marksman adjustable trigger. The adjustable bolt throw allows shooters to opt for a “Big Gun bolt throw” or a standard rimfire stroke. 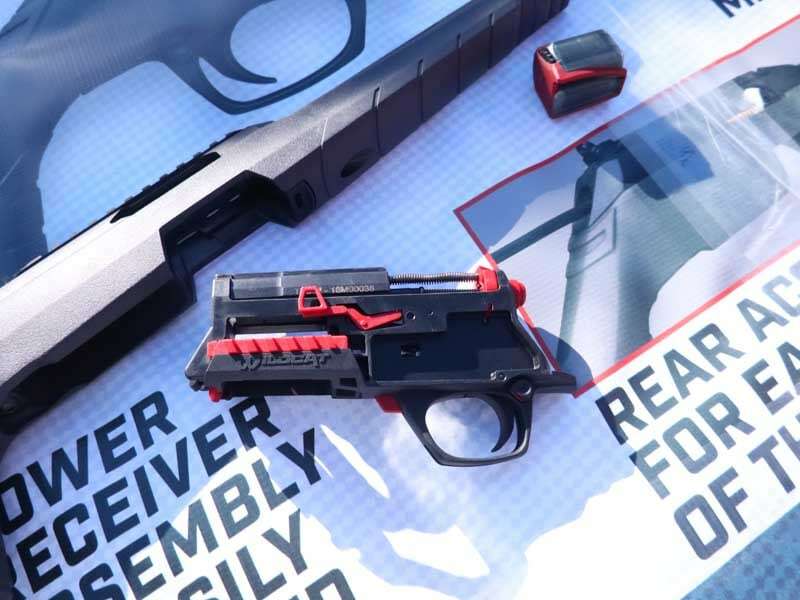 The quick-fit adjustable stock, of course, is icing on the cake. The lovely, perch-bellied Browning Auto-22’s have been as elegant as they are accurate since Belgium turned out the John Browning design decades ago. It’s a pleasure to know that not only is the SA-22 alive and well, but now new models have been added to the lineup. The Grade II Octagon barreled version wears a satin nickel finish and engraving on the receiver. 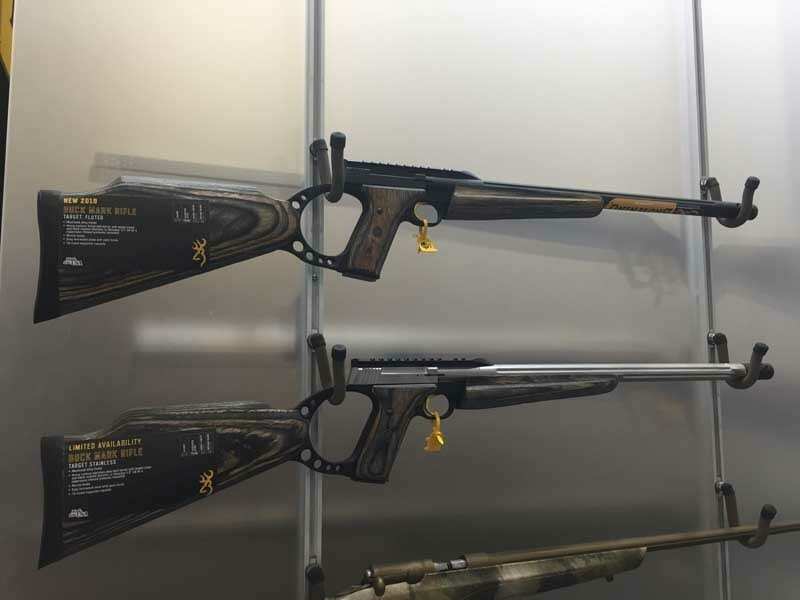 Below that sits the limited production AAA-grade Maple with a satin nickel receiver, which is listed as a SHOT Show 2019 Special. 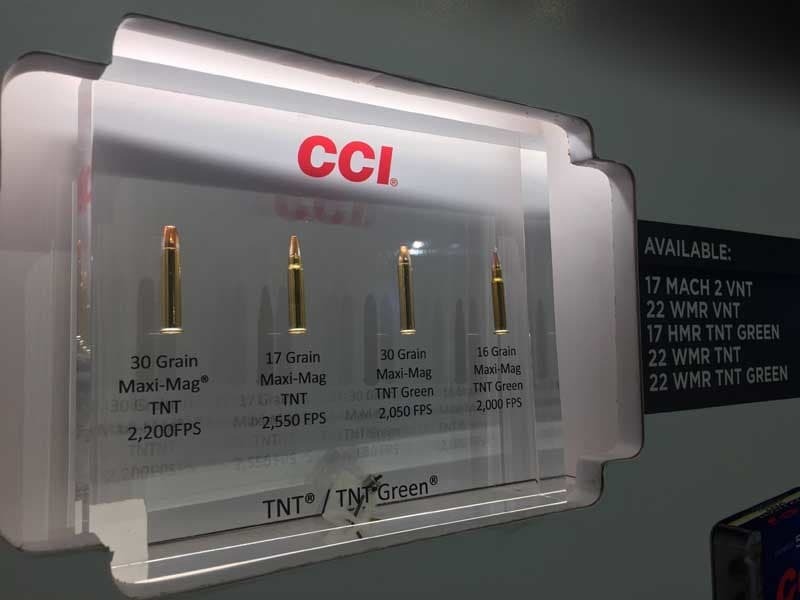 Just when the .17 Mach II round was pronounced all but dead by a lack of reliable and extant ammunition, CCI is bringing back production in a big way. 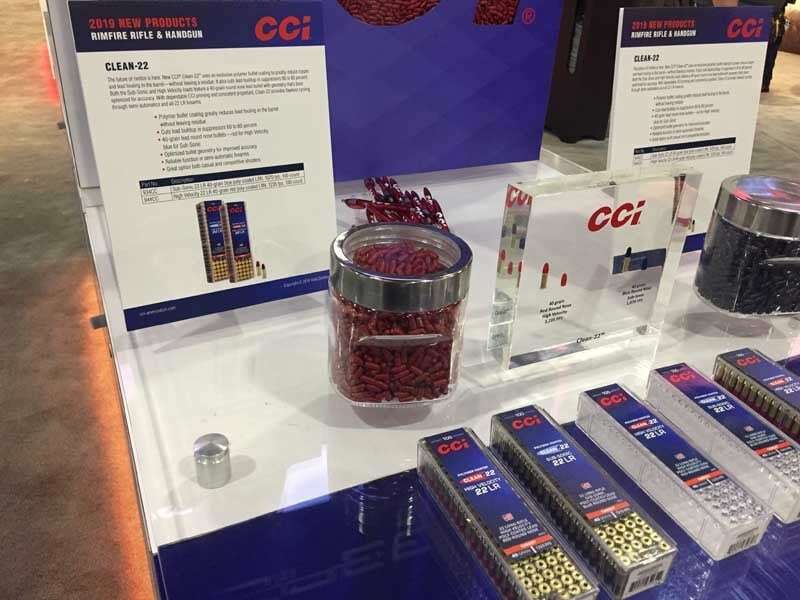 For 2019, CCI will be launching a 17-grain Speer VNT polymer-tipped load as well as a HyperVelocity 17-grain Hornady poly-tipped V-Max bullet. Both will come in 50-round boxes and won’t last long once Mach 2 rifle owners find them on store shelves. Steyr is doing interesting things, with the new Monobloc centerfire stealing the majority of the limelight. TheZephyr II rimfire, however, is a premium bolt action available in .22LR, .22WMR, and .17HMR. The almost-20 inch barrel is topped with 1/2×28 threads. The Zephyr II has the performance of a hunting rifle, yet with its European walnut stock, Bavarian cheekpiece, and fish-scale checkering, it’s just as much a looker. Clean-22 technology uses a polymer bullet coating intended to substantially reduce copper and lead fouling in the barrel and does so without leaving residue. Of particular interest with the Subsonic version is how the rounds cut down on lead buildup inside the suppressor by 60-80-percent. The new Clean-22’s come in multiple versions: High Velocity LRN, Subsonic LRN, and Quiet-22 SP with all three using 40-grain RN bullets. They are advertised to fire and cycle well in any rimfire rifles, including semi-automatics. The Traditions Crackshot rimfire rifle has been around for some time as a 16.5 inch barreled .22LR. What makes the XBR package new and interesting in 2019 is the XBR Upper, bolts, and blanks. The XBR bolt-launcher fires at an advertised 385 FPS and can handle standard fixed blade broadheads, making it a legitimate hunting weapon. 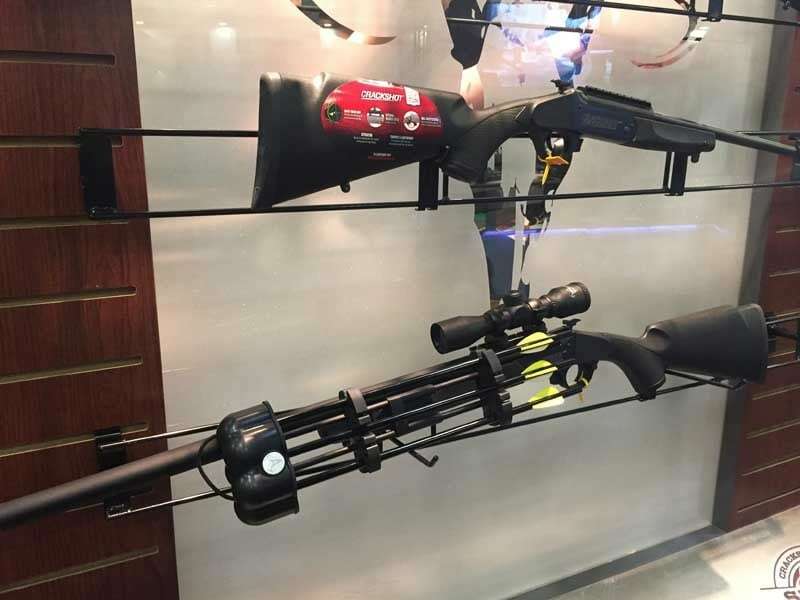 All that remains is determining full legality for hunting seasons, through it should currently be allowed in the same locales as the Pioneer Air Bow. 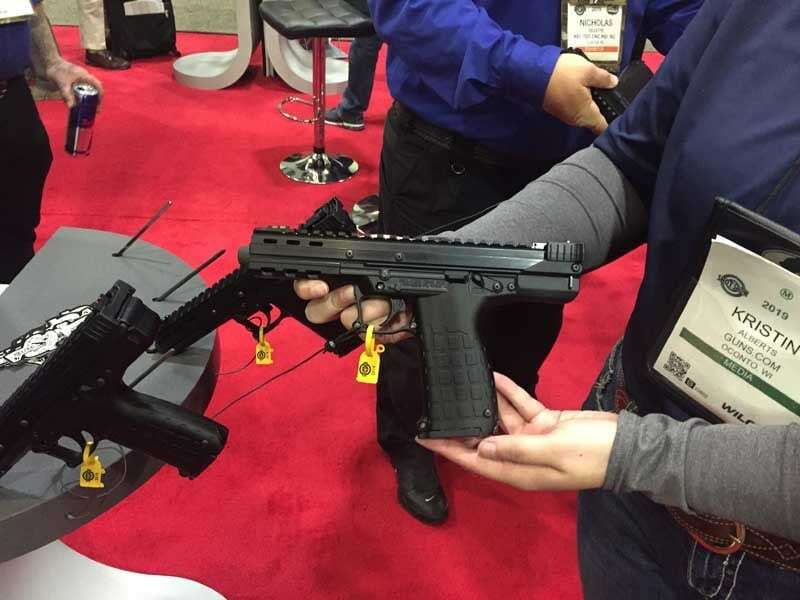 If the 30-round PMR-30 in .22 WMR just wasn’t quite enough firepower, enter Kel Tec’s 33-round .22LR semi-automatic CP33. With an extended, threaded barrel and full picatinny rail, the CP33 is both suppressor and optics ready right out of the box. The quad-stack magazine looks like pure madness, but if it works, who can argue? The straight-pull bolt action Summit rifle was a long time in the making for both Volquartsen and Primary Weapons Systems. The receiver with its integral picatinny rail are CNC machined while the barrel is lightweight carbon fiber. Designed with both competitive shooters and hunters in mind, the Summit has a 1/2×28 threaded barrel and crisp sub-two-pound trigger. Though the standard version comes with a black Magpul stock, the company allows shooters to customize their Made in the USA rifles. 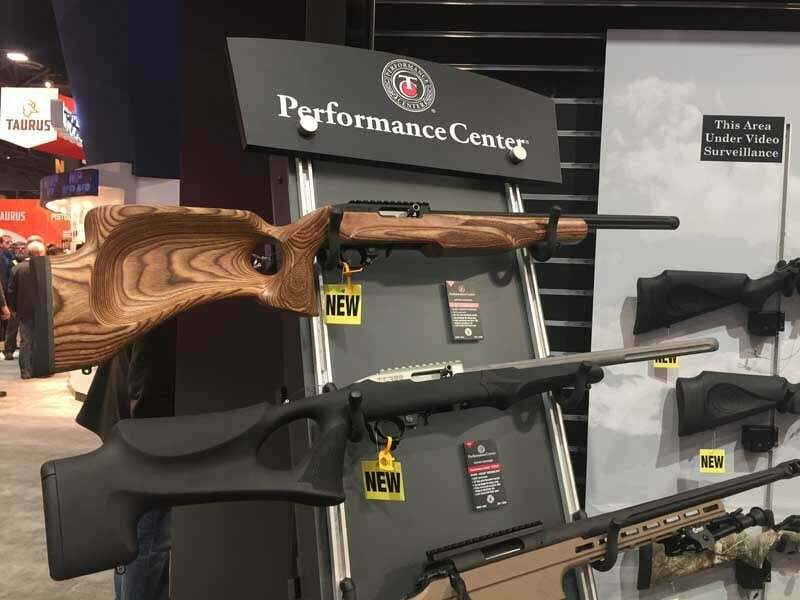 Whether you opt for the standard T/CR or the Performance Center editions shown here, there’s plenty to like from the new line of rimfire rifles. The semi-automatics make use of a rotary magazine, which in turn makes the T/CR’s compatible with 10/22 mags. The 17” threaded barrel and integral picatinny rail remain standard, while multiple variations exist, including fluted heavy barrels, Altamont laminated thumbhole stocks, Hogue Overmolded, and even several camouflage versions. 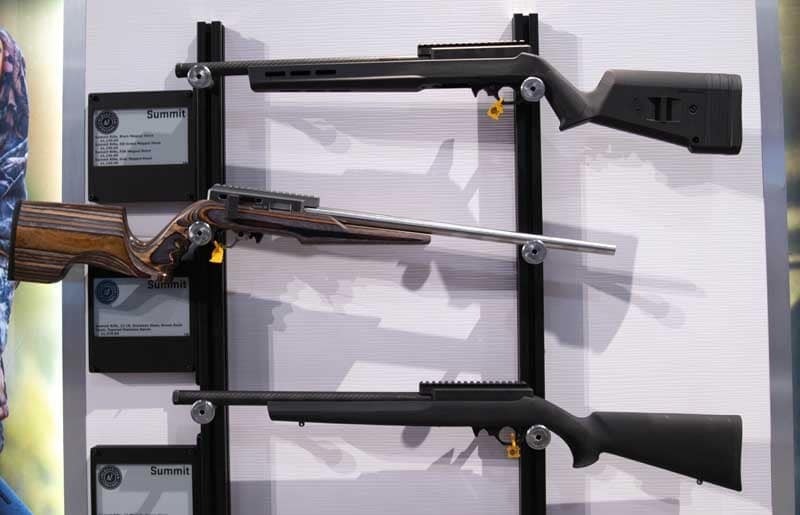 If a new caliber wasn’t enough, Winchester also debuted a new semi-automatic rimfire rifle. Its name is a re-birth of the branding from decades ago. Of particular interest with the Wildcat is the innovative design. The entire lower receiver drops free from the stock and barrel system with the simple push of a button. No tools required. The 10-round rotary magazines are reminiscent of Ruger 10/22 mags, and in fact, shooters will be glad to know they are interchangeable. 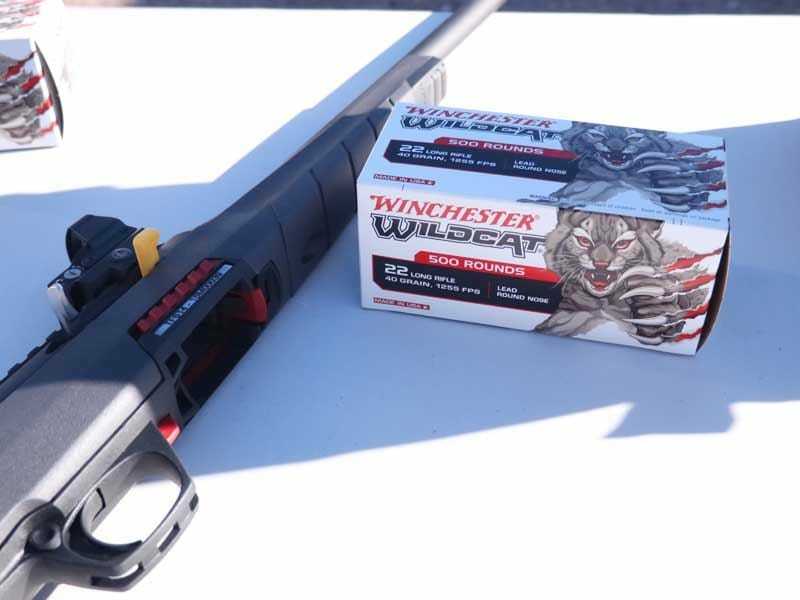 The updated Winchester Wildcat ammo wears a more aggressive, raging kitty logo than in years past. It makes a sweet complement to the new semi-automatic rimfire rifle. Bricks of 500 rounds are available in 40-grain lead round nose. The Made-in-the-USA .22LR ammo is advertised at 1255 FPS. The bolt action 457 Varmint Precision Trainer rimfire in .22LR mimics the size and feel of a full-size tactical rifle and looks good doing it with a Manners carbon fiber composite stock. The cold hammer forged barrels-available in either 16.5 inch or 24 inch are topped with suppressor-ready 1/2×28 threads. We especially like the trigger, which is fully adjustable for weight, creep, and over-travel. Best of all, the 457 Trainer retains the same swappable barrel system and magazine system as the wildly popular 455 line.